Are You Looking For Your Dream Home in Southwest Florida? With over 35+ years experience in real estate construction and sales, AZ Sullivan Homes is Cape Coral’s premier real estate contracting company. With AZ Sullivan Homes, you can have top-quality renovation services for your home remodel. We offer full design and remodeling services and our experienced team will confidently bring innovation and pride into your home renovation. If you’re looking for your new dream home in Cape Coral, look no further. AZ Sullivan Homes offers a full service of designing and building top-quality custom homes. AZ Sullivan Homes has partnered with Natalie More for real estate sales. 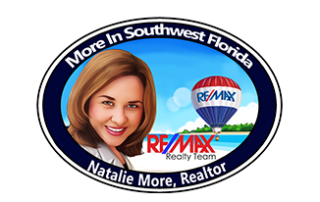 Natalie More has been in the real estate industry for over 13 years. With fantastic sales experience, Natalie excels as a real estate professional. Check out some of our featured, available homes! The City of Cape Coral provides its citizens with services in the most efficient and effective manner possible, while maintaining a positive, safe, and caring community with a united spirit. Cape Coral is a vibrant waterfront community that is the center of opportunity in Southwest Florida where families and businesses thrive. AZ Sullivan Homes has partnered with many great companies and individuals to help keep you covered from A to Z. Please click on any of the logos below to visit our partner websites. Starting from the moment you are looking for your new home, AZ Sullivan Homes will be available to answer any questions you may have.